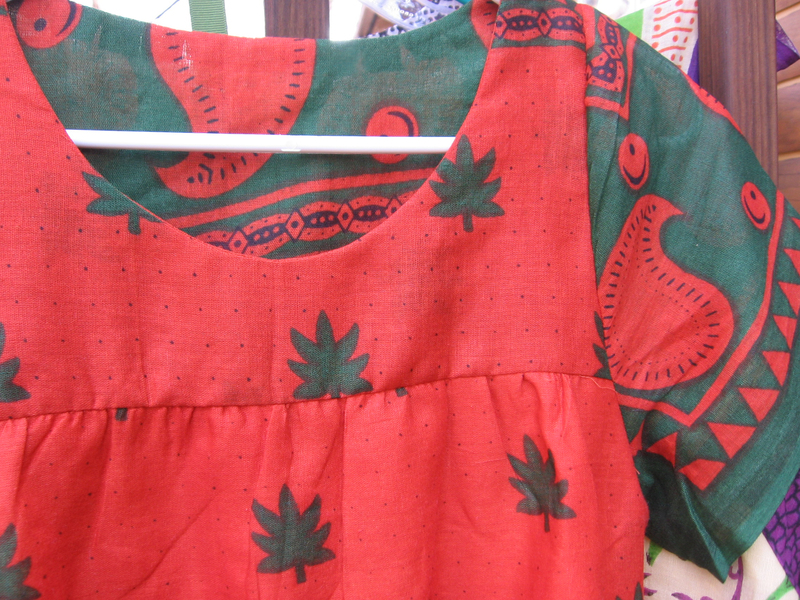 Here is a collection of cotton Kanga dresses. And they are for sale! 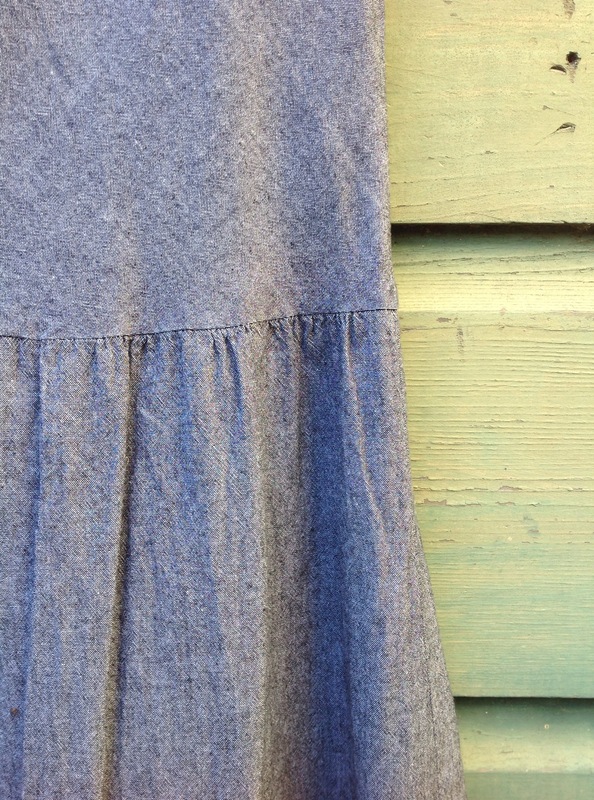 I am working on coming up with dress designs, and am testing out fabrics, sewing techniques, etc. 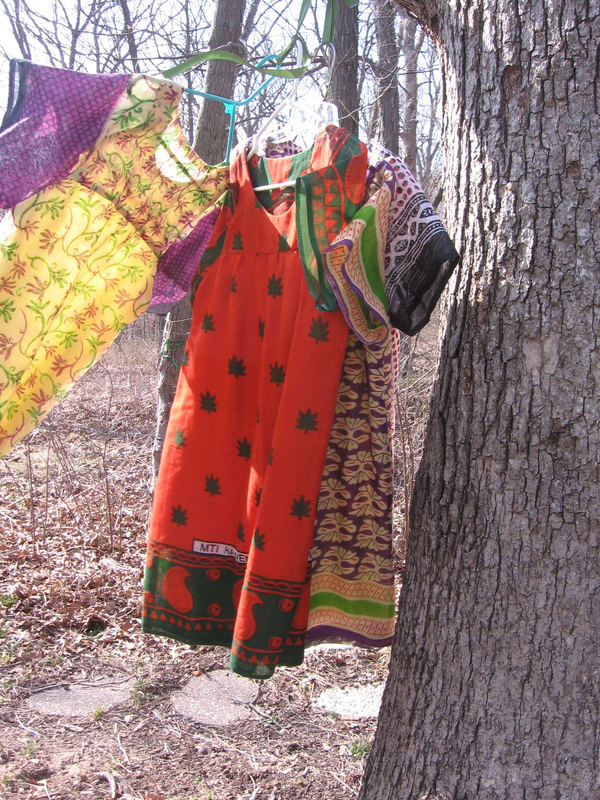 These four dresses are made with traditional Kanga fabric brought to me by my sister. 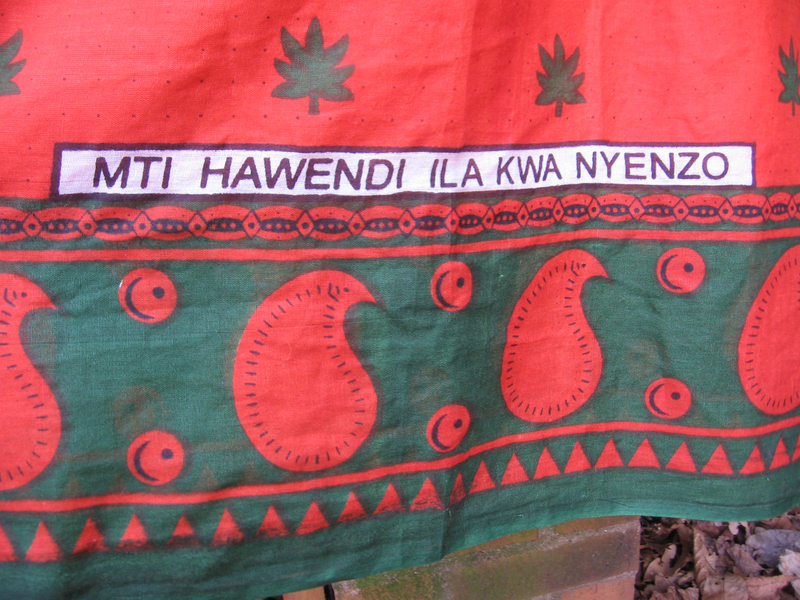 She and her mother, who lives in Tanzania, pick out the different designs for me, and then I get to make things! 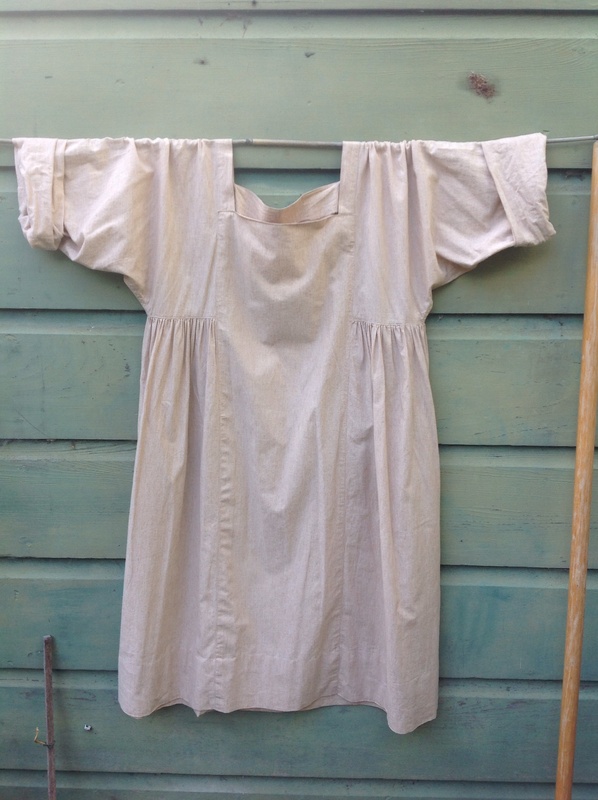 The bodices are lined with another layer of Kanga fabric, and the skirts are lined with a layer of cotton lawn. 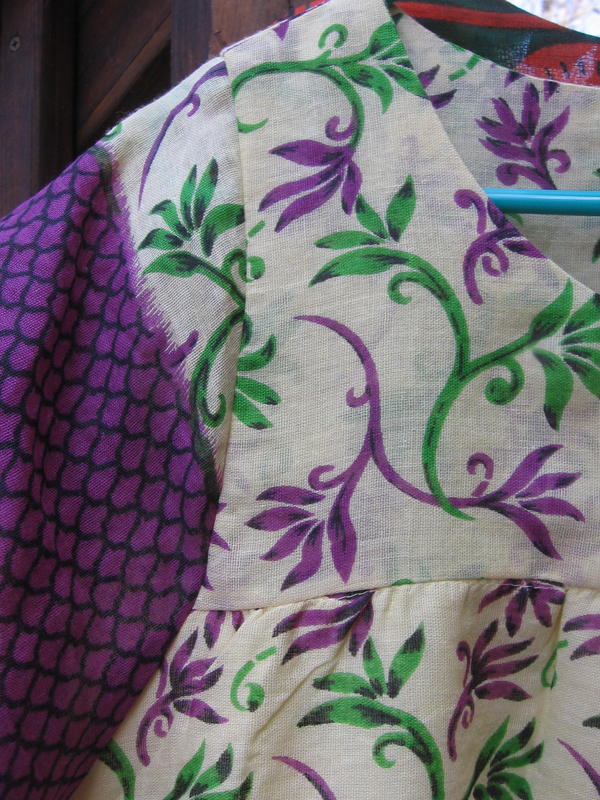 The sleeves are left unlined. 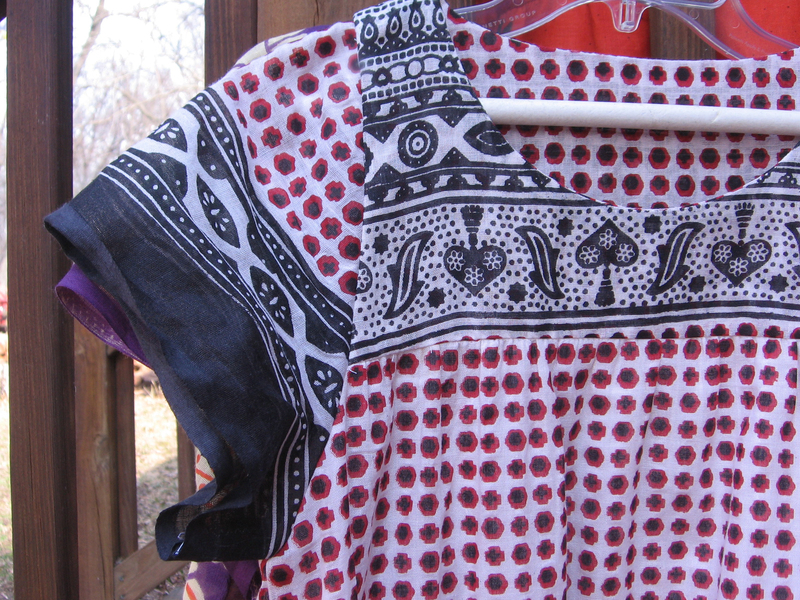 This design is loose-fitting and perfect for warm summer (or spring…) weather. 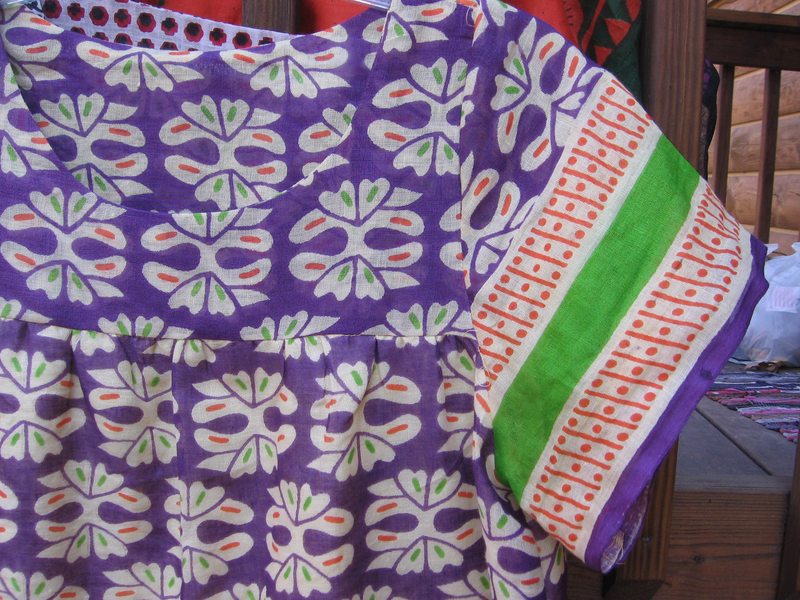 Each dress is unique, with the patterns carefully selected and matched for each. The seams are all finished with zigzag, and I tried to cut all the ends off, but I am sure that there are a few hidden here and there. 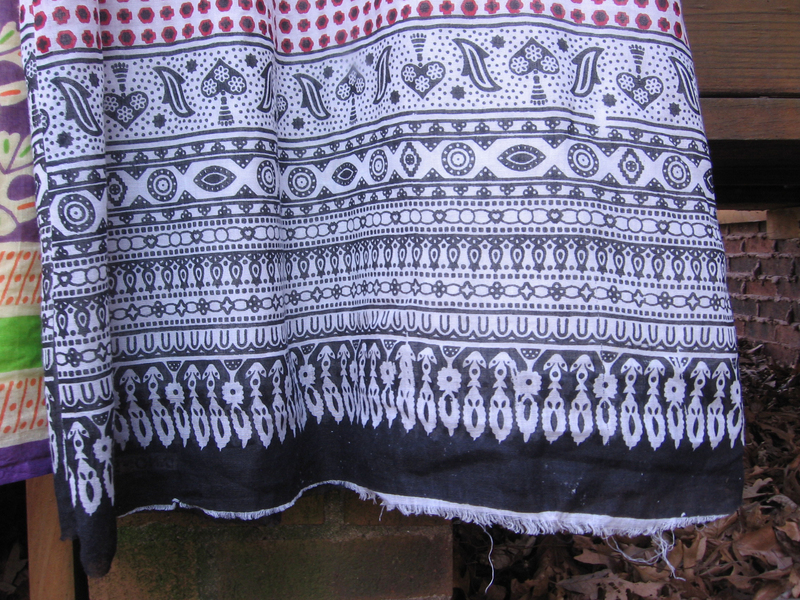 The hems of the sleeves and bottom are the finished edge of the fabric, except for the white and black dress, which has a raw edge. The material is thin and not too refined. There are imperfections, and I feel that this adds to the character of the pieces. 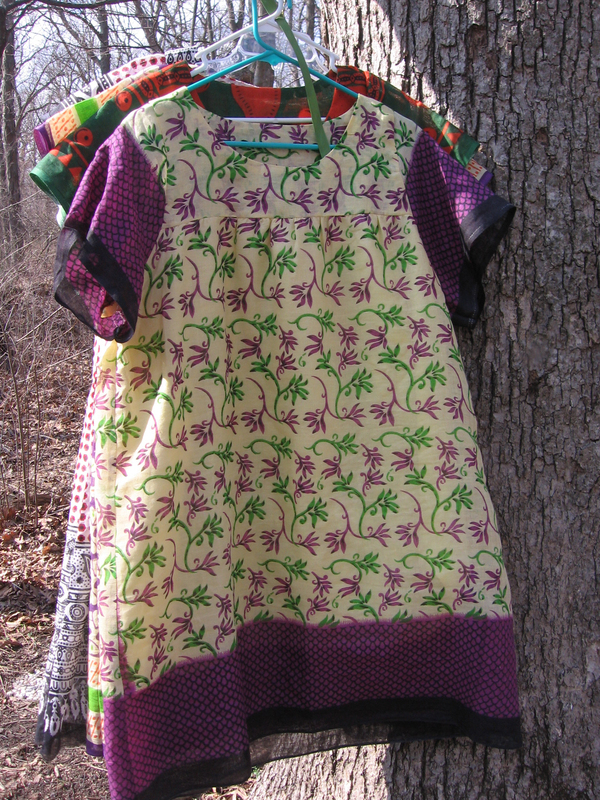 Each piece of Kanga fabric has a quote on it, and I left the quote on the bottom of this dress. 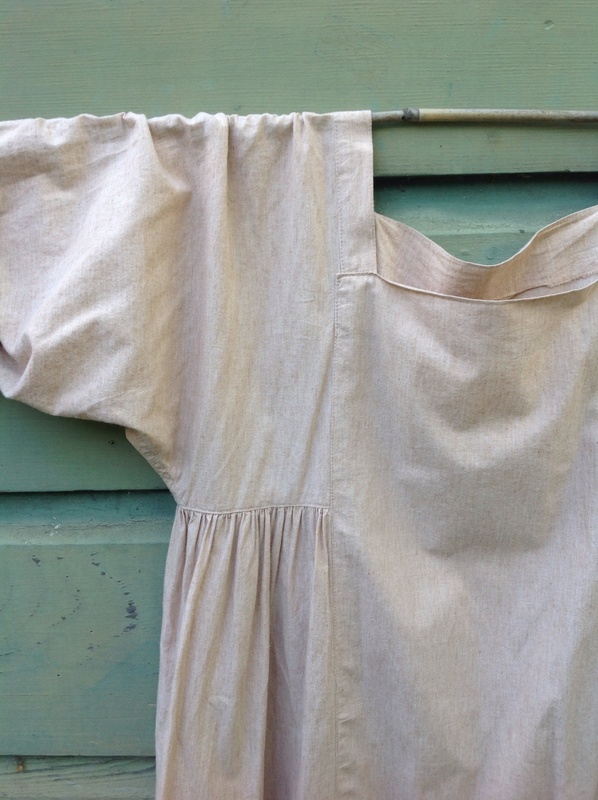 The fabric comes quite heavily starched, and after a few washings and wearings, it softens and relaxes a lot. 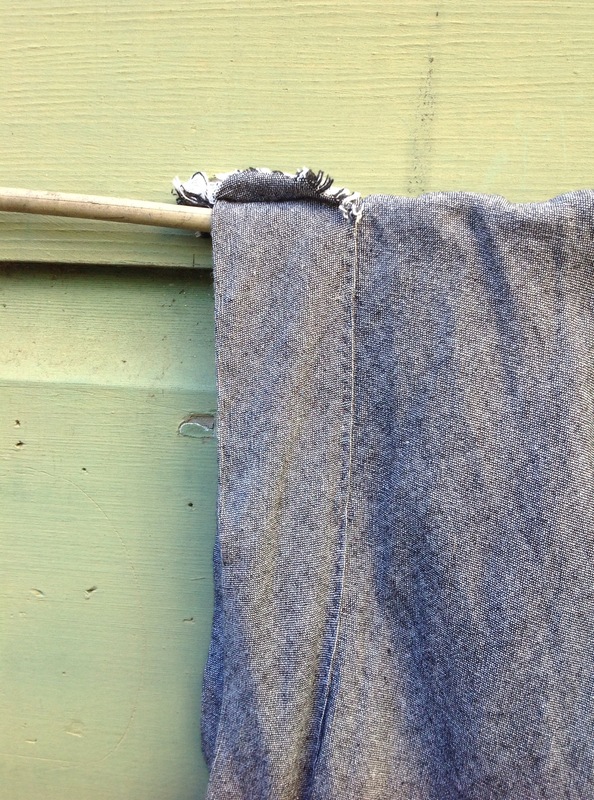 I always take care with laundering, and machine wash delicate, cold, and always hang to dry. 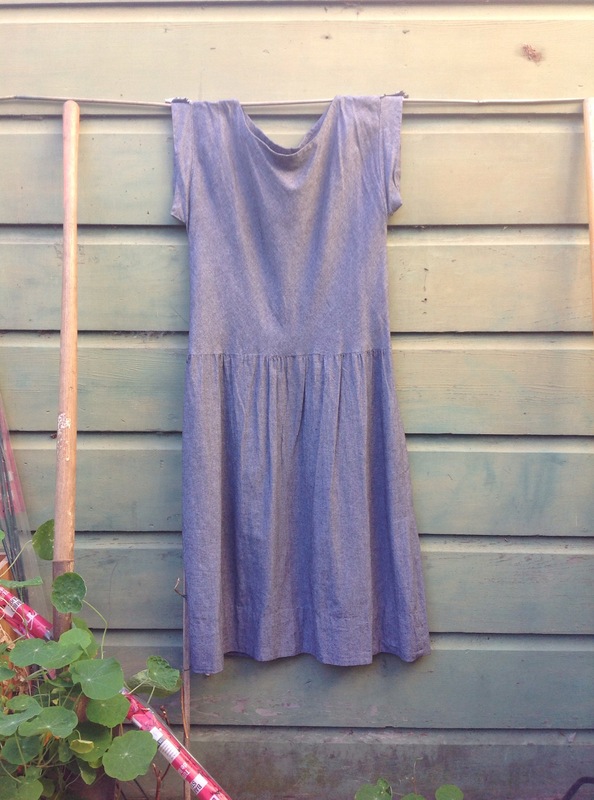 The dresses do usually need to be ironed a little, or else they end up looking a little bit rumpled.